St. Mark's Evangelical Lutheran Church is a church you truly can come home to and feel at home whenever you worship. It is a Christ centered church where Jesus Christ and His gospel of love and forgiveness is preached. The Sacraments of Communion and Baptism are central to our worship and life. Though we are blessed with a beautiful, historic building, our real strength is found in the presence of God's Spirit in our people. The church is not a building - the church is its' people. Our congregation is small in numbers and mighty in Spirit. 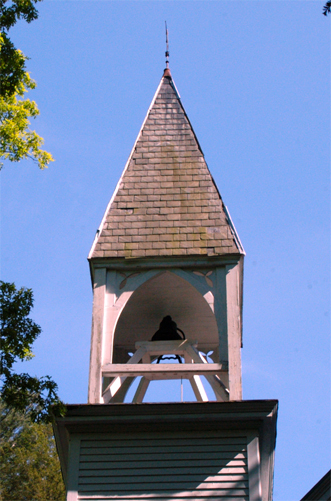 We worship on Sunday at 10:00 am, we commence with the sounding of the steeple bell and begin our service in the Name of God the Father, Son and Holy Spirit. Our church building is cozy, though we may lack some modern conveniences we are proud of our church and its rich heritage.